Located on-site at Cobblestone Hotel and Suites in Chippewa Falls, Wisconsin, enjoy an excellent chophouse experience when in the area. 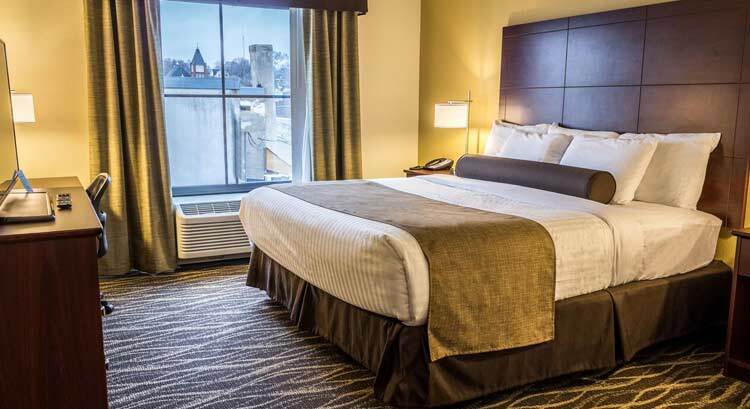 At the Cobblestone Hotel & Suites in Chippewa Falls, Wisconsin you will feel at home with Microwaves, Refrigerators, Luxury Linens, Wolfgang Puck Coffee, and Flat-Panel Televisions in every guest room. We offer our guests the amenities and services they need with 24-Hour Wolfgang Puck Coffee Service, Complimentary Hot Breakfast Buffet, Guest Laundry, 24-Hour onsite Convenience Store, Fitness Center, High Speed Wireless Internet Access, an Indoor pool and so much more! 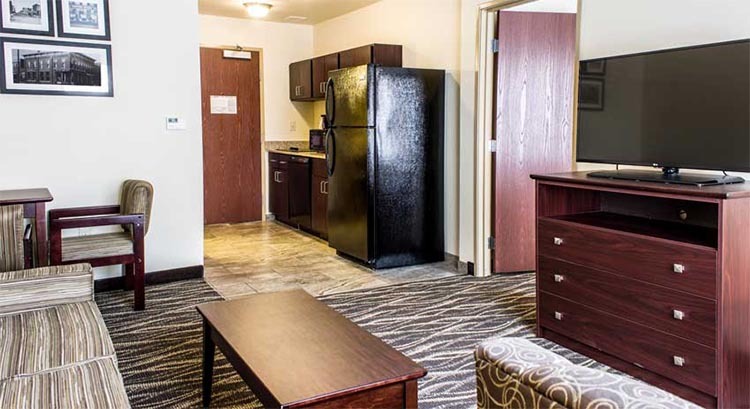 At the Cobblestone Hotel & Suites, you will receive “Big City Quality, Small Town Values…” each stay. Make your reservations today. 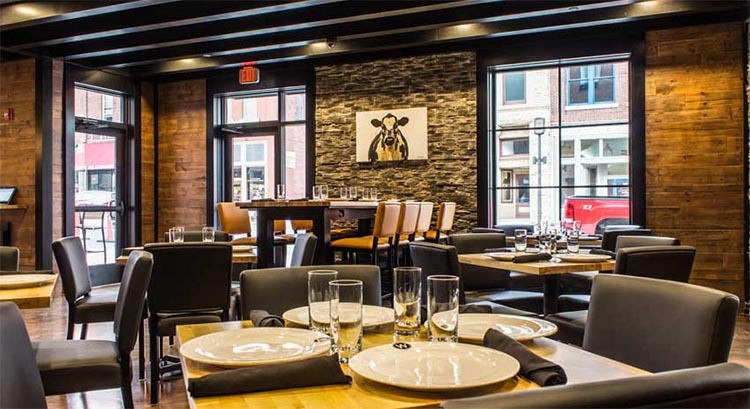 With classic American chophouses in mind, Wissota features USDA Angus Beef, an excellent variety of the freshest seafood, and creative sides. 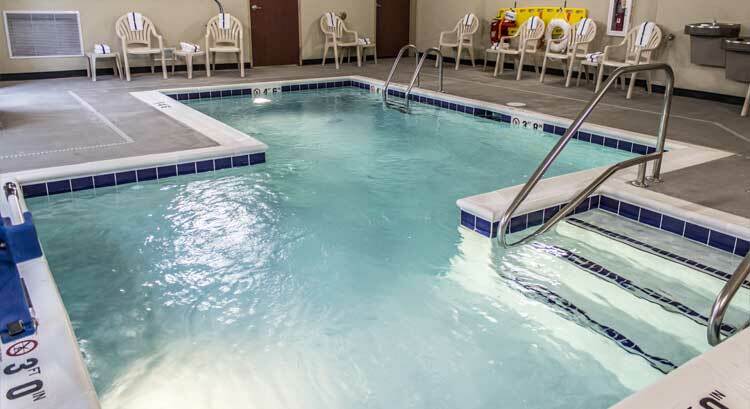 The Cobblestone Hotel and Suites in Chippewa Falls offers a variety of nearby dining options, attractions, and businesses. To book Chippewa Falls for a large group, please fill out the form below. This will go directly to the hotel and they will contact you.